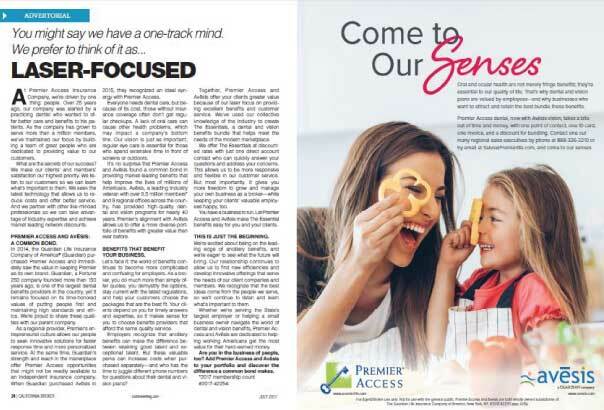 Premier Access and Avesis asked me to ghostwrite advertorials to run opposite their ads in California Broker magazine. 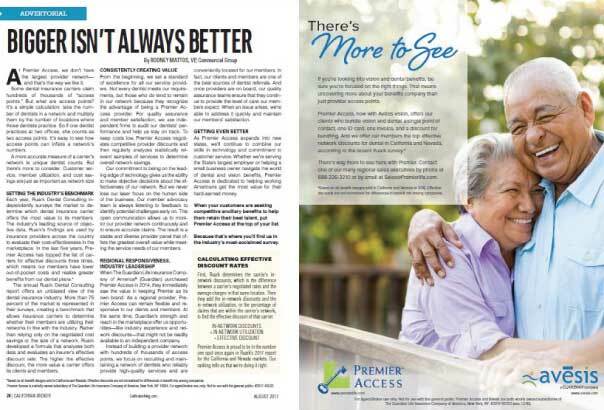 Premier Access is unique – it’s a smaller dental insurance company that offers its customers personalized service, but it’s owned by a large insurance company that’s able to provide volume discounts. The result is high quality customer service with lower rates. My job was to explain this to insurance brokers in a way that engaged readers. Click on the images to view the articles as PDFs.